The European Competition Commissioner says she is willing to investigate Google’s tax arrangements should someone complain about them. Her comments come as the SNP’s economy spokesman, Stewart Hosie, says it has sent a letter calling for such a probe. The development comes as the row over Google’s tax affairs in the UK and elsewhere intensifies. Meanwhile, Google has written to the Financial Times defending its £130m deal, saying it complies with the law. “After a six-year audit we are paying the full amount of tax that HM Revenue and Customs agrees we should pay… Governments make tax law and tax authorities independently enforce the law, and Google complies with the law,” Peter Barron, the company’s European public affairs chief wrote. The EU’s Competition Commissioner, Margrethe Vestager, said that, at this stage, she would not be drawn on whether Google’s tax settlement with Britain amounted to a so-called sweetheart deal. But she told BBC Radio 4’s Today programme: “If we find that there is something to be concerned about if someone writes to us and says, well, this is maybe not as it should be then we will take a look. Yesterday, 31 countries signed an international agreement designed to stop multinational companies using complex tax arrangements to avoid paying corporate tax. The agreement, signed at the Organisation of Economic Cooperation and Development in Paris, will mean that those countries all share tax information. Under its terms, multi-national companies will have to tell the country they operate in what they make in that nation and how much tax they pay. Critics say the deal doesn’t go far enough, and that such information should be made public, rather than held confidentially by the tax authorities. The European Commission will later reveal proposals to stop tax avoidance by multi-national companies. “Hopefully, we will end up in a situation where companies pay taxes in the countries where they also make their profits and these new proposals will take us another step down that road,” said Ms Vestager. “Corporation tax is paid on profits, not revenue, and is collected where the economic activity that generates those profits takes place. As a US company, we pay the bulk of our corporate tax in the US: $3.3bn in the last reported year. What should Google pay in the UK? We pay tax based on the value added by the economic activity of our staff here, at the current standard rate: 20%”. David Cameron on Wednesday defended the deal UK authorities struck with Google over tax, saying the Conservatives have done more than any other government. The PM told the Commons the tax “should have been collected under [the last] Labour government”. Google agreed to pay £130m of tax dating back to 2005 to HMRC, which said it was the “full tax due in law”. European MPs have described it as a “very bad deal”, and Labour said it amounted to a 3% tax rate. London is a massive UK city containing over 5 million properties. In this overcrowded environment it is essential that noise transference between properties in kept to an absolute minimum for the occupant’s wellbeing. APT Sound Testing Services undertake UKAS accredited Part E sound testing throughout London and the UK. We have extensive knowledge regarding the way different materials and construction methods can influence the results of a sound test, to ensure your company achieves complies with Sound Testing Regulations Part E.
Local SEO marketing helps your company to get to the top of the Google’s natural listings, helping local customers easily find your products and services. Studies have shown the natural listings and Google Maps are where over 80% of people click when they are looking for a local product or service; our affordable SEO packages will provide your business with great new source of both leads and sales. More and more people are using the search engines to search for such as motorhome rental North East or van hire Newcastle and it is reported to be one of the fastest growing areas for ‘searches’ online. We have the experience and expertise to ensure you capitalise on local search traffic. The team at Direct Submit Internet Marketing Services can provide you with a Search Engine Marketing solution to help your company increase the effectiveness of its website in the Search Engines and give it a distinct advantage over your local competitors’ websites who aren’t optimised for local searches. What Exactly is Local Search or Local SEO? It’s not that long ago, if you simply entered “plumber” into Google’s search bar, you’d get results from all over the UK. Typically, whether you were based in Newcastle, Leeds, London or Edinburgh, you were quite likely to get the same top 10 search results. And let’s be honest, as local small trader in Newcastle this isn’t going to be of that much help to you? Google has made some major changes and now, search results are significantly influenced by the geographic location of the searcher. Many search results nowadays will include maps, pinpointing a company’s precise location. Helping personalise search listings and results, making it a lot more helpful and relevant to the person doing the search. Many local companies rely almost entirely local, geographic specific business so it makes sense that ‘your business’ should be taking advantage of these search engine changes. This could potentially lead to significant increases in business enquiries and sales. The integration of geographic data in search results represents a huge opportunity for local business. These changes should help your site to avoid being forced to compete with businesses and providers all over the country – often irrelevant o the searcher, only those in your specific area. This makes it infinitely easier to rank highly for your keywords, and it makes reaching your exact target audience more possible, too. At Direct Submit, we specialise in online marketing and local SEO for small, local businesses. We’ve helped loads of local businesses to improve their websites ranking in the major search engines, helping attract more qualified traffic and bring in more sales on the web. For more information on Local SEO, call us today on 0845 2722350 and get your website noticed locally. Civilian recruits will help police solve cybercrime under an expansion of the role of volunteers in England and Wales, the home secretary has said. The plans include measures to give more power to support staff and volunteers. Forces will be able to identify volunteers who specialise in accountancy or computing for cyber and finance inquiries, Theresa May said. Unison, which represents police staff, says it was concerned it was a way to “plug the huge gap” left by cuts. Shadow home secretary Andy Burnham echoed this concern and said the move sounded like a “back-door means” of filling cut posts and “could lead to policing on the cheap”. But Mrs May said she was “committed to finishing the job of police reform”. Since 1831, civilians have been able to exercise the full range of police powers in the shape of special constables. Potential volunteers in England and Wales currently have two options – become a special constable, or ask to become a police support volunteer. The latter role has no powers. But the measures – which will form part of the Policing and Crime Bill – will allow volunteers to be given powers without becoming a special constable, while also creating a core list of powers reserved for police officers. She said people with IT or accountancy skills were in “particular demand”, and could “work alongside police officers to investigate cyber or financial crime, and help officers and staff fight crime more widely”. What is the role of volunteers in the police? There are 16,000 volunteer police officers in England and Wales known as special constables. Specials undergo training, wear police uniform and have the same powers in law as their “regular” colleagues. They take on tasks such as foot patrol, crowd control and crime prevention and have to be available for at least 16 hours each month. In addition, there are 9,000 volunteers performing a wide variety of different staff jobs in the police. The union Unison, which surveyed police forces last year, says Kent has the largest number of volunteers (850), while volunteers in Thames Valley put in the most hours (70,000). The survey identified more than 60 volunteer roles, ranging from mountain rescue to animal welfare, crime scene investigation to firearms licensing. Mrs May’s proposals were aired last year in a consultation, which favoured creating uniformed police community support volunteers (PCSVs), and suggested civilians could carry out tasks like interviewing victims and taking witness statements. Government officials confirmed some reforms will be taken forward, but the full details are due to be revealed later. Mr Burnham called for Mrs May to “provide assurance” that the measures “won’t lead to standards being compromised or corners cut. The concern is that these volunteers will not be checked or trained in the same way as those who volunteer as special constables,” he said. Unison general secretary Dave Prentis said giving police volunteers more powers was a “huge mistake”. Mrs May’s measures will also confirm the abolition of the role of police traffic warden. But BBC home affairs correspondent Danny Shaw said this was a “technical change”, reflecting the fact that – since parking enforcement was decriminalised, with local authorities taking on the role – there are now only 18 traffic wardens employed by police. Meanwhile, forces in Hampshire and Gloucestershire have already launched a pilot scheme to attract volunteers with digital skills to support “digital investigations”. Under Mrs May’s reforms, volunteers are expected to be given the powers to make arrests and carry out stop-and-searches. The BBC is reporting that, according to MPs, the sale of the UK government’s stake in the Eurostar train service is “further evidence” of assets being undervalued. The government eventually sold its 40% stake in early 2015 for almost double the estimate by financial advisers. That was good news for the taxpayer, but it underlined a “repeated tendency” to undervalue assets, the Public Accounts Committee said in a report. The PAC also criticised delays in publishing data on the HS1 rail line. MPs said it was “unacceptable” that there was a two-year delay by the Department for Transport in publishing an evaluation of Britain’s first high-speed rail line. It meant that important information that could have been used by Parliament to consider other projects, including the HS2 high speed line, was not available. The PAC claimed it denied Parliament the ability to use “important information” when considering HS2. Meg Hillier, the committee’s chairwoman, said the issues over the Eurostar sale and the HS1 report “raise serious questions about the government’s approach to valuing public assets, as well as its commitment to considering the value for money of public spending on such expensive projects”. She highlighted concerns that the sale of Royal Mail, whose shares soared after its stock market flotation, was also undervalued. The Treasury, the PAC concluded, relies too much on a “small pool” of financial advisers. The government’s 40% holding in Eurostar was sold for £585.1m to Patina Rail, an investment consortium. But the Treasury, and its advisers UBS, put a price tag of £305m on the stake. 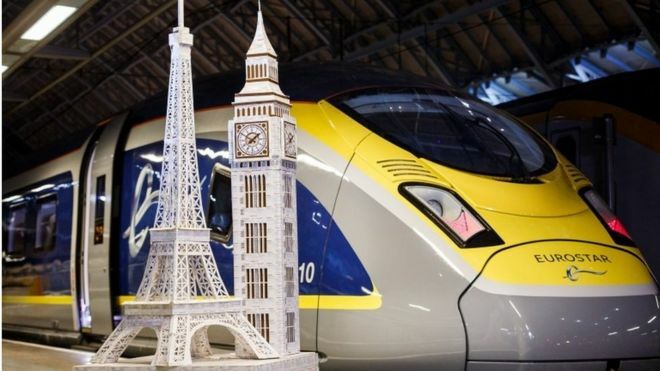 The sale of the government’s entire stake in Eurostar has netted £757m, although that is far less than the estimated expenditure on the project of £3bn, the PAC said. She said it would be misleading to suggest the government “set out” to undervalue its assets and added that its approach to Eurostar was approved by an independent adviser. The UK unemployment rate fell to 5.1% in the three months to November. It was the lowest jobless rate since the three-month period to October 2005, according to the Office for National Statistics (ONS). The number of people out of work fell by 99,000 to 1.68 million between September and November. The employment rate was 74%, the highest since comparable records began in 1971. 2015 has been one of the wettest summers in over a century, and with the unseasonably cool weather we’re having right now, meteorologists are predicting that autumn will arrive early in the UK this year. For homeowners, this means that now is a good time to consider getting an early start on energy efficiency projects that will also improve the look of your home. Following are some window treatments to consider for energy efficiency as summer turns to autumn. Roman blinds. These are available in a variety of colours and fabrics; you can go lighter or darker, thinner or heavier and they can even be custom-designed to match your home’s colour scheme. Make sure to work with a company offering the services of a professional seamstress. Roller blinds. The primary energy efficiency advantage of roller blinds is the fact that it is all one piece, so there are no slats between which drafts can come in, and any potential for indoor warmth to be lost to heat transfer during cold weather will be significantly reduced with roller blinds covering the windows. Available patterns and colours will complement virtually any home décor, particularly those which are traditional or retro-chic. Vertical blinds. These might not seem like such an obvious choice when it comes to energy efficiency, but vertical blinds offer advantages due to both their thickness and the fact that a set of vertical blinds typically has fewer slats than Venetian blinds, which means that there is a proportionally lower potential for air leaks. As with other blinds, different colours and thicknesses also provide different grades of protection from hot and cold outside temperatures. Plantation shutters. As the name implies, plantation shutters were originally used as an exterior window covering in hot environments in order to provide some coolness indoors. Nowadays, they are widely used indoors for shade and protection from heat and cold. With plantation shutters, unlike other types of blinds, you sacrifice much less privacy by adjusting them; by leaving them over your windows, even with the slats open, you enjoy a greater amount of privacy compared to other types of open blinds. The benchmark FTSE 100 opened 1.73% higher on Tuesday, a day after closing at its lowest level for more than three years. In the first few minutes, the index climbed 99.78 points to 5,879.70. The index sank on Monday amid concerns about the slowdown in China’s growth and falling oil prices. But investors were cheered in Asia and elsewhere after latest Chinese growth figures, published earlier on Tuesday, were broadly in line with expectations. There were no losers on the 100-share index in early trading. The winners’ board was led by mining stocks, with Anglo American up 7.5% and Glencore adding 5.8%. On the currency markets, the pound was up 0.44% against the dollar at $1.4305 and was up by 0.6% against the euro at €1.3149.